Real Madrid made it five wins in a row and claimed their most important victory to date under Santiago Solari in the Derbi Madrileño, Barcelona couldn't find a way through in Bilbao and Getafe kept their improbable dreams of fourth spot alive by beating Celta Vigo. However, you probably knew all that, didn't you? What you might not know is exactly why Thibaut Courtois' plaque was adorned with a shortbread tin, or what Unai Emery's granddad has to do with La Liga's 90th birthday. Here are six things you may have missed in La Liga this weekend. FINAL | ¡3 PUNTOS MÁS! ¡¡VICTORIA EN MONTILIVI!! La @SDHuesca encadena por primera vez 2 triunfos consecutivos en @LaLiga gracias a un doblete de @chimy337 ¡Que nadie nos de por muertos! ¡No reblamos! ​La Liga's bottom club Huesca continued their mini-revival with a win at Girona thanks to a double from Argentine striker Chimy Avila. The result, which follows a 4-0 win over Real Valladolid last weekend, keeps Huesca's unlikely dream of top-flight survival alive, with the club now just six points away from safety. The side from Aragon - whose stadium capacity is less than 8,000 - won promotion to Spain's top flight for the first time last season and were playing in the fourth tier as recently as 2004. One of the more intriguing signings of the the January transfer window, Wu Lei's debut for Espanyol over a week ago made the headlines worldwide, as it was noted that the Chinese forward's appearance against Villarreal drew an audience of 40 million back in his homeland. The 27-year-old, who was the Chinese Super League's top scorer last season, came on for his home debut at the RCDE Stadium on Saturday following an injury to Pablo Piatti. Despite nursing a shoulder injury himself, Wu impressed in his cameo as the Catalans came from behind to beat Rayo Vallecano 2-1. Match-winner Sergi Darder said of Wu after the Rayo victory (via ​Marca): "When he arrived we thought we'd wait and see, because he had been out of action and because it would have been normal for him to need some time to adapt to this new league. We didn't expect that he'd be so decisive so quickly." Sergio Aguero wasn't the only hat-trick hero this weekend as 21-year-old Moroccan Youssef En-Nesyri became the first ever Leganes player to score a treble in La Liga when his side sealed a 3-0 win over Real Betis to lift them further away from the indignity of a relegation battle. Signed from Malaga in the summer, the striker looks like one of La Liga's smartest pieces of business this season, with seven goals in his last five league outings. In the calendar year of 2019, no one has scored more goals in Spain's top flight and only ​Lionel Messi is his equal. ​Barcelona's 0-0 draw with Athletic Club at San Mames on Sunday was the first time La Blaugrana have failed to score in a league game for a whole year. The goalless draw ended a run of 37 games where Barça have scored at least once in La Liga, dating back to the 0-0 with Getafe on 11 February 2018. Despite a subdued performance from Messi, who featured despite fitness concerns, Ernesto ​Valverde insisted his star man was '100%' ready to play the game. Thibaut Courtois is just as popular at ​Atletico Madrid as he is at Chelsea it seems, as angry ​fans threw toy rats at their former stopper and vandalised his plaque outside the stadium prior to the Derbi Madrileño on Saturday afternoon. Courtois enraged Atleti fans by moving to Real Madrid and kissing the badge, after having spent three seasons in the red and white of Los Colchoneros. 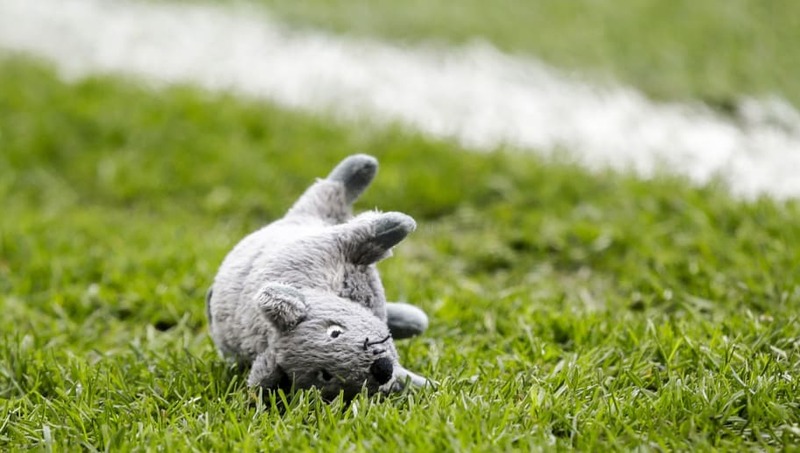 Such was the resentment upon Courtois' first visit to the Wanda Metropolitano that fans defaced his commemorative plaque outside the ground with beer cans, rubbish and a box of M&S shortbread (the logic being that depicted stag's horns symbolise unfaithfulness in Spanish), as well as launching toy rats onto the pitch. Courtois had the last laugh however, as ​Real Madrid took a VAR-assisted 1-3 victory (their 600th away from home in La Liga history) to take them to six points off league leaders Barcelona. The Belgian was spotted holding up three fingers to the crowd as he departed the pitch. This weekend marked exactly 90 years of La Liga action. Among the host of fun facts about the occasion, the above is quite possibly the best.